For the refined watercraft rider that demands the ‘best of the best’, the Sea-Doo GTX line up is the clear cut industry leader in luxury performance. BRP invented the luxury performance watercraft and continually sets the benchmark in comfort and functional features. 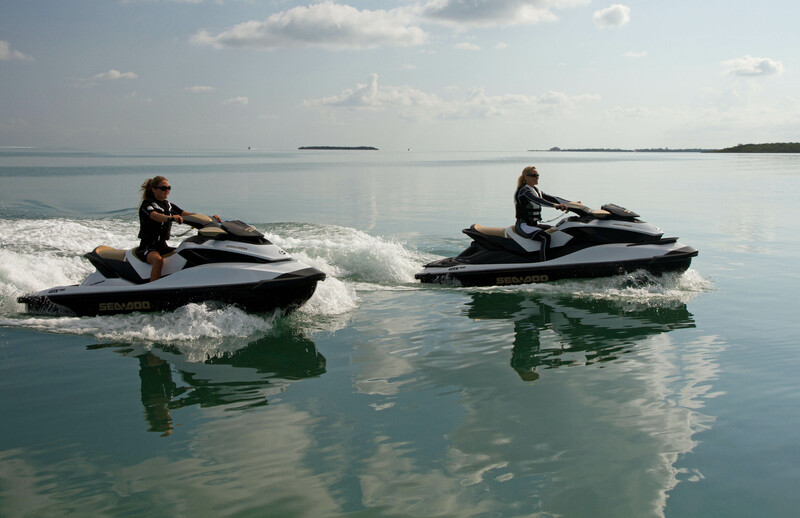 All Sea-Doo GTX models include advanced Intelligent Brake and Reverse (iBR) as well as Intelligent Throttle Control (iTC), delivering greater riding comfort, convenience and control than any other watercraft on the market. 2013 Sea-Doo GTX Limited iS 260 BRP’s Sea-Doo GTX Limited iS 260 model sets the luxury performance benchmark for the refined watercraft rider looking for the best of the best. The GTX Limited is the only watercraft with iS, the auto calibrating, full rider suspension that offers the smoothest ride possible in choppy conditions. This exclusive feature is part of the Sea-Doo iControl system that also includes the world’s only on-water braking system, iBR. With its exclusive Limited package, the GTX Limited iS 260 is the ultimate in touring comfort, power and convenience on the water. Powered by its Rotax supercharged High Output engine, the Sea-Doo GTX Limited iS 260 offers premium performance and an array of luxury features to make this watercraft the best equipped on the water. For 2013, the GTX Limited iS 260 is available in a new, premium Anthracite Grey coloration. The GTX comes with a plush custom touring seat, an integrated digital infocenter, and a watertight removable storage bin. The standard Limited package features; tilt steering, custom cover, depth finder, Speed Ties, glove box organizer, dry bag, safety kit, sand bag anchor and the Limited DESS key with wrist lanyard. The award-winning iControl technologies, including ECO Mode, make the GTX Limited iS 260 the most fully equipped watercraft in the industry. Simply the Best of the Best. 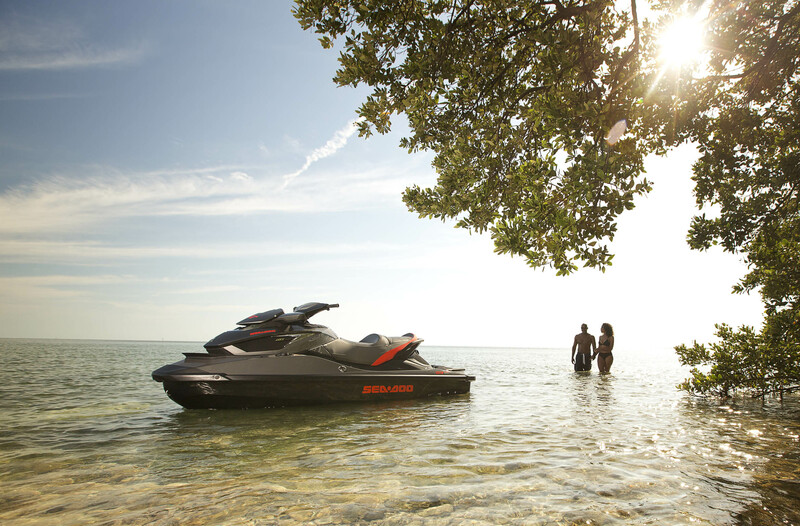 BRP’s Sea-Doo GTX 215 is the most powerful, non-suspended Sea-Doo model in the luxury performance segment while the 2013 GTX 155 watercraft has better fuel economy than most competitive models in the luxury performance class. For 2013, both the GTX 215 and 155 feature iBR, iTC with the award winning ECO mode, cruise/slow speed modes, fuel consumption display, VTS, plush custom touring seat, hinged seat, tilt steering with digital infocenter, fold-down reboarding step, large glove box and watertight removable storage bin. BRP’s Sea-Doo GTX S 155 watercraft features iControl technologies, sophisticated design and enables riders to venture further in comfort. The GTX S 155 watercraft features S suspension with 5.5 inches (14 centimeters) of travel tuned for optimal comfort with manual adjustments to ensure the smoothest ride in a variety of conditions, riding alone or with passengers. Rider control is taken to new levels with standard iBR and iTC. BRP’s award-winning ECO mode extends the fun by automatically determining the most economical power delivery for the greatest fuel economy. Like all Sea-Doo watercraft, the GTX S 155 is built to provide lasting fun for the whole family with the fuel-injected Rotax marine engine with closed-loop cooling system (CLCS).